In a bowl, mix thoroughly the miso and the mirin. Using paper towel, dry the salmon fillet. 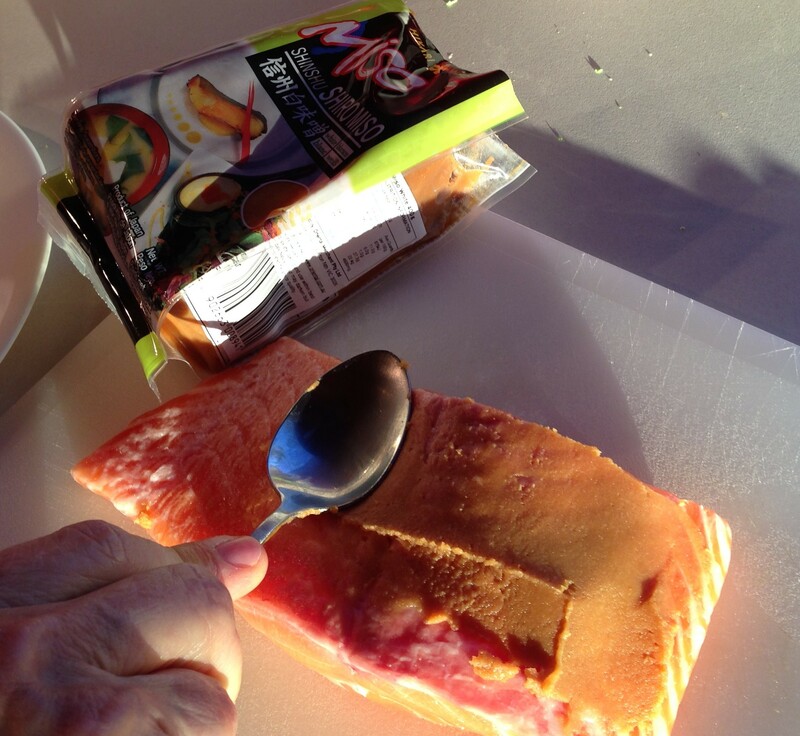 Using the back of a spoon, smooth approximately half the paste onto each wide side of the fillet, leaving the narrow sides free of it, so you can watch the cooking. Lightly oil a hot, flat grill plate or pan. Lay the salmon onto it. Cook about 3-4 minutes, depending on the thickness of the fillet. Turn carefully onto the second side and cook another 3-4 minutes. 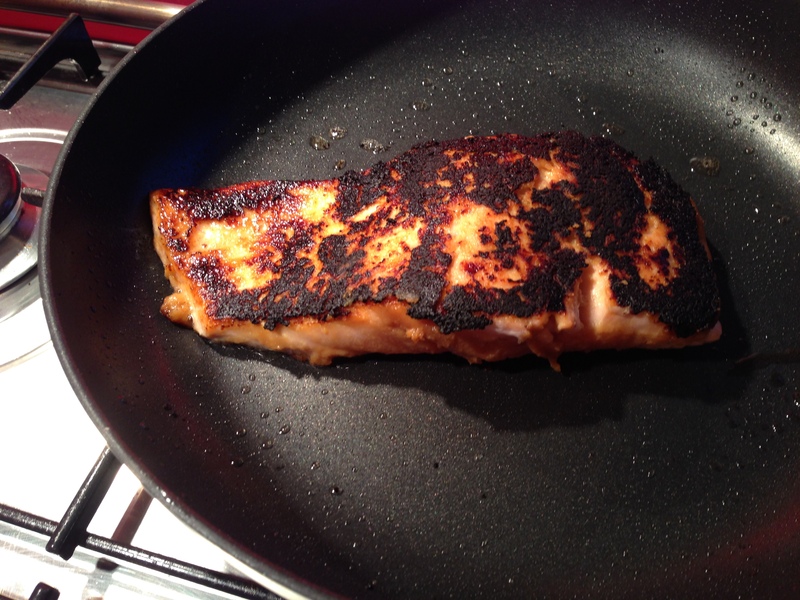 Your guide to not overcooking the salmon should be to watch the raw pink line down the side until it JUST disappears. Remove from the grill and let it rest for a couple of minutes before serving. This is going to take a bit of practice for you to get it cooked to your taste. Don’t be alarmed by the black colour of the crust. It doesn’t taste burnt, it is caramelised and is a little sweet and salty when eaten with the fish. We cook one fillet per person, but usually find this is too much if there are children or small eaters. It also depends on the size of the salmon pieces. 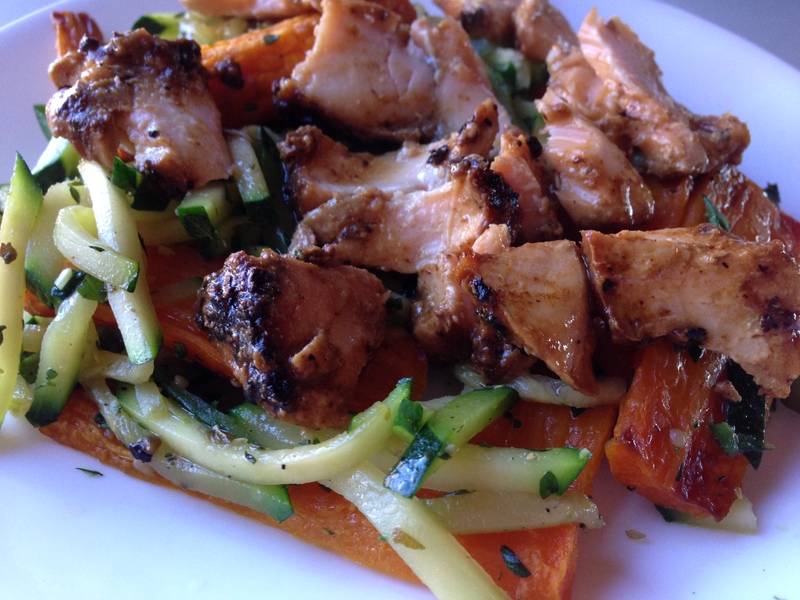 If there are leftovers, here is a delicious way to enjoy them… Roast or stir fry a few carrots and some zucchini, tossed with fresh lemon thyme. Warm the leftover salmon and flake it onto the vegetables. In the photo, I have roasted the carrots and stir fried the zucchini. Enjoy. Tbis looks delish! 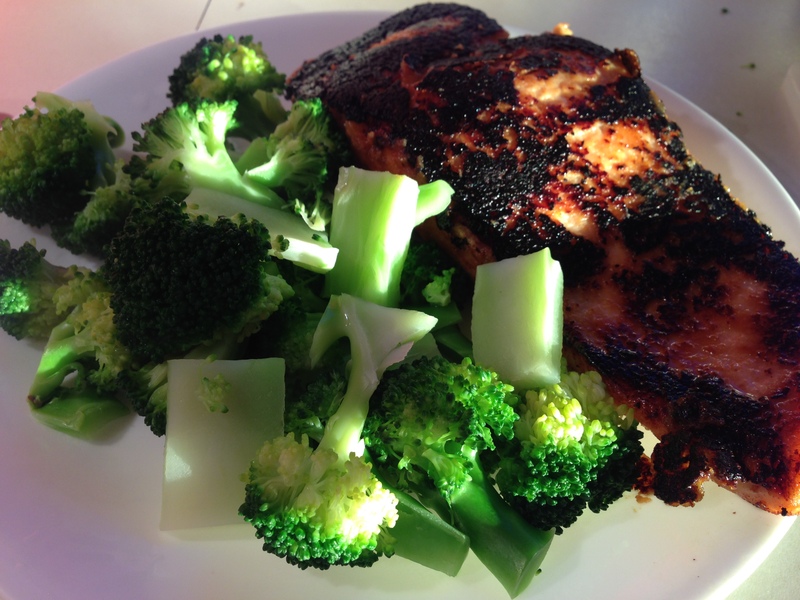 At 5am, I’m sitting here drooling over this salmon. Glad to know it doesn’t have to be done on the bbq though.